First of all, I would like to thank you comrades for inviting us to your first summer camp. It was really interesting to be here during these three days and to discuss with all of you. 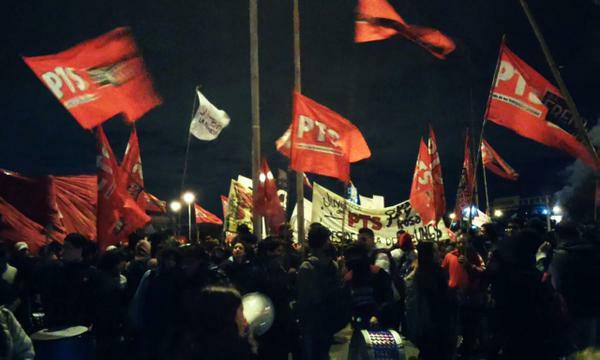 I would like to give you an overview about the situation in Argentina, but mostly about the FIT (the Left and Workers’ Front, an electoral front comprised of the main Trotskyist organizations in Argentina) and the PTS (Socialist Workers’ Party) in particular. What you have to know is that the Kirchnerist government came to power just after the economic crisis and after what we called « the revolutionary days » in 2001. This was the first time an elected government fell as a result of popular mobilizations. The goal of the Kirchnerist government at that time was to consolidate the reorganization of the bourgeois state after the crisis, by using a reformist narrative. At that moment, the Trotskyist left was generally weak, and particularly in the labor movement. The Partido Obrero was mainly implanted in the unemployed workers’ movement. The PTS had played a role in the movement of factories under workers’ control. But unfortunately, there was no political intervention of the organized working class as such. This was because at that time unemployment was at 25 % and the union bureaucracy in the work places was rather powerful. Since then, the PTS and the Partido Obrero have chosen different strategic paths to building parties. The PTS chose the difficult and unseen work within the labor movement and the industrial unions, taking advantage of the objective strengthening of the working class due to the economic recovery. The Partido Obrero theorized a new revolutionary subject : the piqueteros or the unemployed workers’ movements. However, this was a problem for them when the economy started to recover because they had few ties with the organized working class at the time. During these years, some important workers’ struggles allowed the PTS to become more influential in the working class, also having several union representatives. Maybe you do not know, but in Argentina, the working class has historically been led by Peronism, which is a bourgeois nationalist and class collaborationist political ideology. Today the Peronists use thugs and physical intimidation to threaten those who dare to challenge them in the factories and the unions. They are friends with the bosses and had ties to the dictatorship in Argentina between 1976 and 1983. – In 2009, there were massive layoffs at Kraft, a multinational food company. They had to combat the union bureaucracy’s attempts at intimidation as well as violent state repression and the militarization of the plant. 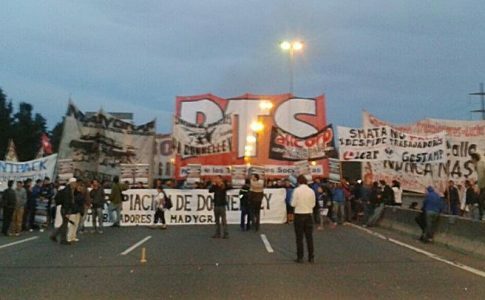 – In 2010, Mariano Ferreyra, a student belonging to the Partido Obrero, was killed by union thugs because he was supporting the struggle of railway workers to improve their working conditions. – The workers of the Buenos Aires underground have to confront UTA union thugs, who even come with weapons to threaten them, every time they are fighting to improve working conditions. – The workers from Lear, which is a multinational company in the automobile industry, were the protagonists of the biggest and the longest working class conflict during the Kirchnerist era. 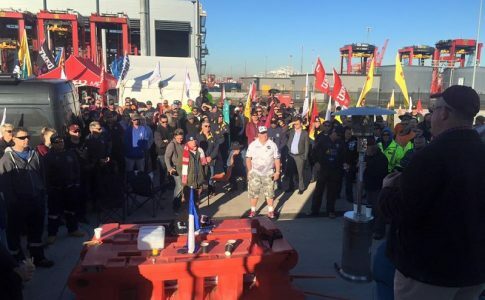 Union thugs came to the picket lines and threatened to kill the workers and their families. 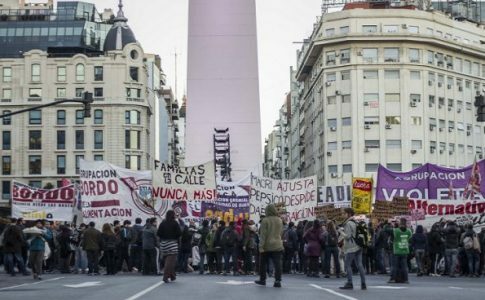 This was a very important conflict because there were 240 layoffs, 21 road blockades on the main highway in Buenos Aires, confrontations with the police on 5 occasions, 22 arrests, many injuries, and so on. The PTS played a very important role in this struggle. This difficult work allowed the PTS to make an unprecedented leap forward in the struggle against the power of the union bureaucracy in some key workplaces. – In 2013, the FIT obtained 1.3 million votes, winning three seats in the National Parliament and several seats in provincial and municipal legislatures. 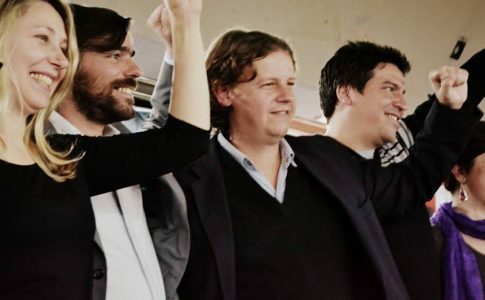 – This year, Nicolas Del Caño obtained 17 % in the executive elections in Mendoza, which is an important province in Argentina, coming in second place even ahead of the government’s candidate. So, even if the number of votes goes down, which is possible if the political situation changes, steps towards building a revolutionary party among the working class and the youth are now being made. The goal is to be in a good enough position as to capitalize on the crisis of Peronism in power. For the first time, in 2015, there will be primary elections within the FIT. On the one hand, a list of candidates is being presented by the Partido Obrero and the Izquierda Socialista (Socialist Left), and on the other hand, a second list of candidates is being presented by the PTS. This is notable because the Partido Obrero refused a unified list. This primary election has as such revealed the important debates that are being had inside the FIT. 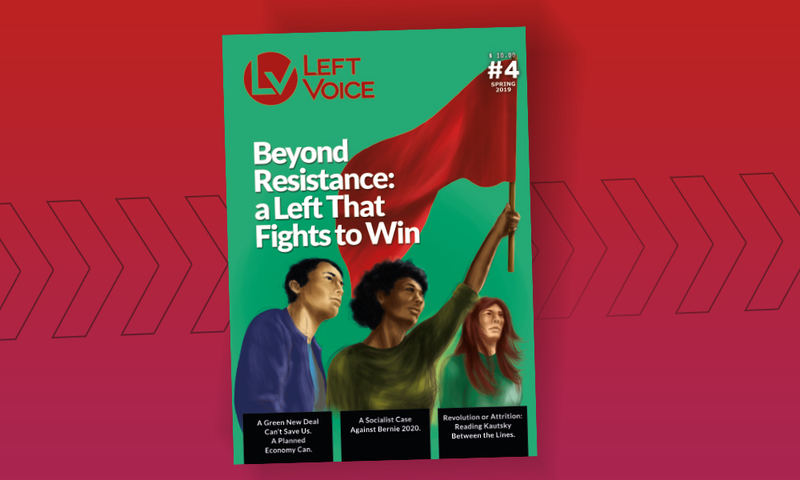 For example, the Partido Obrero has begun to develop a new understanding of the “united front tactic”, confusing certain aspects of a united front with aspects of a political and electoral front. The Partido Obrero’s candidate for president, Jorge Altamira, said that the FIT is a united front. Within the PTS, we believe that when we talk about united fronts, the main element is action for precise objectives within the class struggle. Whereas when we talk about a political-electoral front, it is defined by its political program. So for us, the Partido Obrero undermines the value of the political program because they want populist organizations who have recently supported the FIT to be able join the electoral alliance. 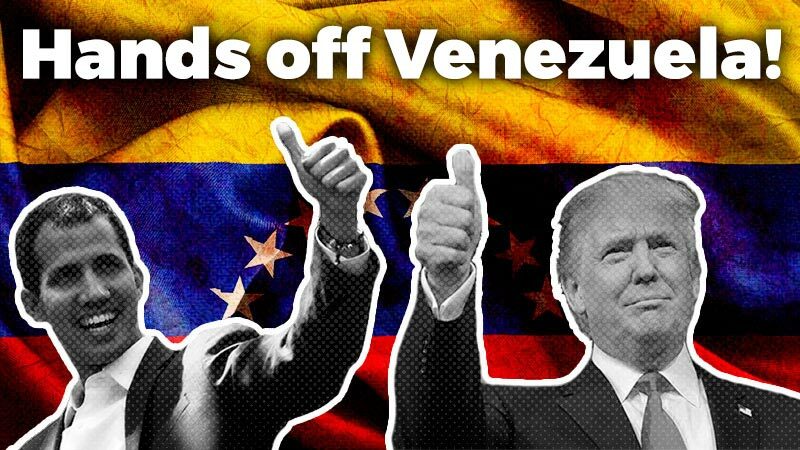 These organizations do not have a clear program of class independence (they have for instance supported political organizations like Syriza, Podemos and the ones led by Hugo Chavez in Venezuela and Evo Morales in Bolivia) and we have no common activist work in struggles with these organizations. So, as you can see, this discussion about the united front is not an abstract discussion, but it has concrete consequences. The Partido Obrero wants them to join the FIT, defending the idea of a united front, even thought no previous and serious discussion about the FIT’s program has taken place. We have already had this type of discussion with the Partido Obrero when they critically called to vote for Syriza in 2012, saying that this will be the point from which we could fight for a workers’ government. In the PTS, comrades are reflecting on the relationship between class struggle and revolutionary parliamentary work. As I said before, the development of this “rank-and-file” unionism is very important for the PTS’ future growth and has allowed us to gain ground within the workers’ movement. At the beginning, workers voted for union delegates who were PTS members and belonged to the left in trade-union elections, but then in most cases they supported Kirchnerists, in general, political elections. This is why, for revolutionaries, the struggle to organize in the workplace also means constant political struggle. This is why new generations, hundreds of workers are now entering the political struggle and are candidates for the PTS electoral list in the FIT primaries. Combining the struggle to improve salaries or working conditions with political struggle allowed the PTS not only to forge anti-bureaucratic union representatives but also to emerge as a revolutionary left. In the campaign, the PTS’ main slogan is to “renovate and strengthen the FIT with the strength of workers, women and the youth”. Nicolas Del Caño, the PTS candidate for president, is a young militant, a current FIT member of parliament. He is present in workers’ struggles and has even been repressed by police on road blockades. He has a clear class profile and one of the main demands for which he advocates is that every MP should have the same salary as a teacher. This is not a demand that we invented but, as you might know, it is a demand that dates from the Paris Commune. Women comprise 60% of PTS candidates. There are 1,800 workers who are candidates on our lists all over the country. Many of them played a leading role in the class struggle. Most of them are militants from the PTS, but there are also independent workers that are political candidates for the first time, for example, one of the oil workers of Las Heras, who has been sentenced to life in prison. In Buenos Aires province, which has a high industrial concentration of workers, 40 % of the 1500 candidates are industrial workers. To conclude, I would like to say that the FIT’s example shows us that it is possible for the left to build a working class alternative. It is not written that revolutionaries have to liquidate their program and unite with reformists in coalitions in order to be heard among the workers. And these precise examples show that it is not written that we cannot challenge the trade union bureaucracy in unions and the work place. That should be the aim and the orientation of revolutionaries all over the world. And the example of the PTS shows us, even if on a small scale, that it is possible to articulate the work in trade unions with a revolutionary political alternative.